Individual student outcomes are tracked before and after each Learning Strategy intervention exercise is provided to struggling learners to measure competency gains on that particular intervention. 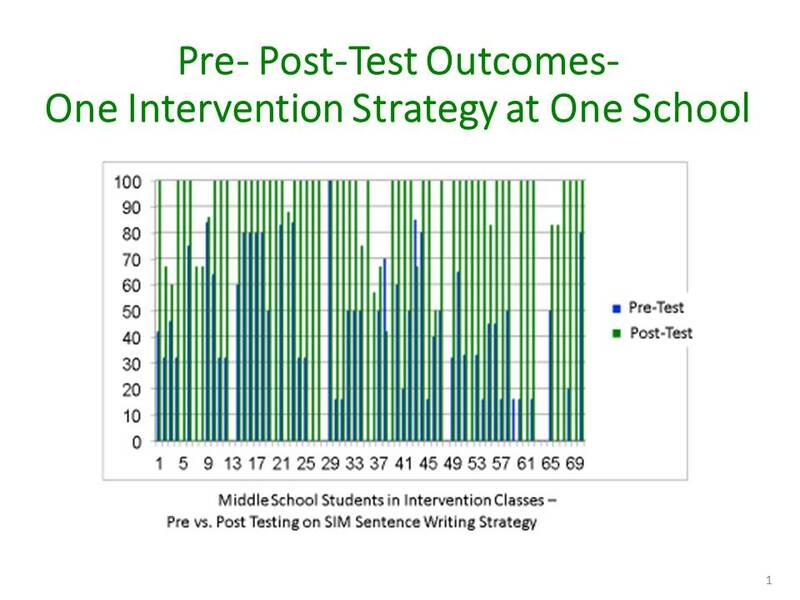 Shown here are the results based on University of Kansas assessments for individual struggling students at one particular school on one particular intervention, in this case Sentence Writing. The blue lines are where each student started; the green lines where they completed the unit. Almost all students demonstrated 100% proficiency.